Even though the holidays are around the corner, in the wedding industry, spring is even closer. We may be filling holiday card orders but we are always thinking about our upcoming spring & summer brides. 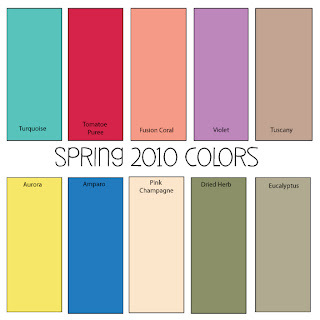 For those Spring brides that are still trying to decide on a color palate check out the Spring 2010 Pantone Color Chart to help you decide.